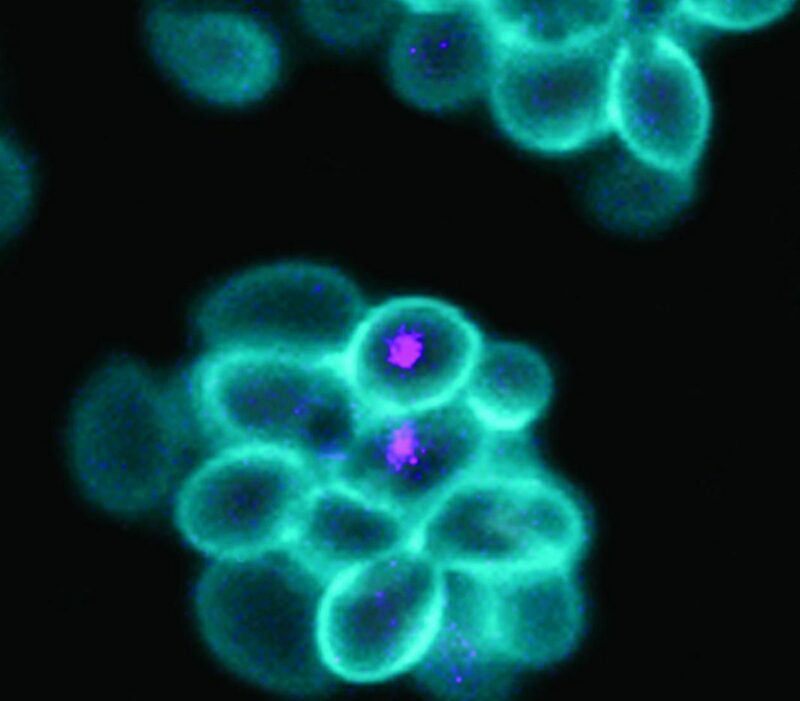 Even if the well-known endosymbiotic theory is right, and once free-living single-celled organisms evolved to become organelles within larger cells, much remains unexplained about how, exactly, microbes came to cooperate so intimately with each other. For example, if endosymbiotic bacteria evolved to become mitochondria, they presumably lost much of their genomic content along the way. To study study how the genomic streamlining of endosymbiotic bacteria may have occurred, along with other evolutionary processes, scientists based at Scripps Research have engineered two organisms, a yeast and a bacterium, to recapitulate endosymbiotic history, a story that is more than 1.5 billion years old. Essentially, the Scripps team, led by Peter Schultz, Ph.D., president and CEO of Scripps Research, engineered a composite organism, the bulk of which consisted of genetically modified Saccharomyces cerevisiae, and internal bits of which consisted of genetically modified Escherichia coli. The yeast part was altered so that its own mitochondria were deficient at supplying energy in the form of ATP, something the bacterial parts were modified to supply in abundance. Also, the bacterial parts were altered to be dependent on the yeast for an essential vitamin, thiamin. Finally, the bacterial parts had their surface proteins changed, allowing them to escape destruction in the yeast cytosol. So, when all the parts were brought together, what happened? The bacteria lived and proliferated in harmony with their hosts for more than 40 generations and appeared to be viable indefinitely. This finding was established by observing the yeast-cytosol-residing endosymbiotic bacteria with fluorescence microscopy and x-ray tomography. Detailed results appeared in the Proceedings of the National Academy of Sciences, in an article titled, “Engineering yeast endosymbionts as a step toward the evolution of mitochondria.” This article described how an ADP/ATP translocase-expressing E. coli was used to provide ATP to a respiration-deficient cox2 yeast mutant and enable growth of a yeast—E. coli chimera on a nonfermentable carbon source. 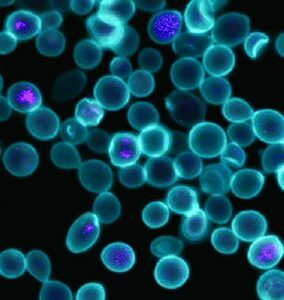 The Scripps team rounded out the study with further gene-subtraction experiments, and the results were promising: the scientists found that they could eliminate not just the E. coli thiamin gene, but also the genes underlying the production of the metabolic molecule NAD and the amino acid serine, and still get a viable symbiosis. Going forward, the researchers hope to use similar endosymbiont-host systems to investigate other important episodes in evolution, such as the origin of chloroplasts, light-absorbing organelles that have a mitochondria-like role in supplying energy to plants.